The search for preventing or curing chronic and neurodegenerative diseases goes on. All the drugs developed for treating Alzheimer’s have failed, even though they worked in animal studies and in some human clinical trials. While it has already been proven that air pollution is a major risk factor for cardiovascular and lung diseases like chronic obstructive pulmonary disease (COPD), according to some recent studies, air pollution is also a major risk for contracting Alzheimer’s disease, diabetes, cancer and chronic kidney diseases. This might explain why a drug that works on animals in air-conditioned lab conditions, fails when given to people outside of the lab. If pollution is indeed the main culprit for causing all of these diseases, then the drugs designed to treat these diseases will all ultimately fail, unless the environmental causes are removed. Added to this are the dangers from smoking and second-hand smoke that also contribute to both indoor and outdoor air pollution. Diabetes is considered to be an epidemic in the United States and the numbers are increasing. According to the Centers for Disease Control and Prevention (CDC), there are over 30 million Americans with diabetes which is 1 in 10 of all Americans. There are also over 84 million Americans with prediabetes who may eventually get diabetes. Over 23 million of those with prediabetes are seniors over the age of 65. Diabetes was the 7th major cause of death in 2015. The forecast is that by 2025, 1 in every 5 adult Americans will have diabetes. Until now the reasons given for the diabetes epidemic are mainly lifestyle. People do not get enough physical exercise and eat a lot of sweets and junk foods and are overweight. Obesity is also on the rise and most overweight people will also get diabetes. However, a study published June 29, 2018, by Washington University School of Medicine in St. Louis and the Veterans Affairs (VA) St. Louis Health Care System in the Lancet Planetary Health Journal, shows that air pollution is a significant risk factor for contracting diabetes. In fact, a wake-up call should be that even at the levels of air pollution considered safe, according to the U.S. Environmental Protection Agency (EPA) and the World Health Organization (WHO), there are high risks for diabetes from air pollution. While industry keeps complaining that these levels are too strict and should be lowered, the results of this study show that they should be made even more stringent. To examine outdoor air pollution, the researchers viewed particulate matter, airborne microscopic particles of dust, dirt, smoke, soot and liquid droplets. Previous studies discovered that such particles can enter the lungs and make their way into the bloodstream and from there invade all parts of the body causing major damage to health such as cardiovascular disease, stroke, cancer and kidney disease. The researchers surmise that regarding diabetes, pollution reduces the production of insulin, causes inflammation and prevents the body from converting blood glucose into energy needed by the body to preserve good health. 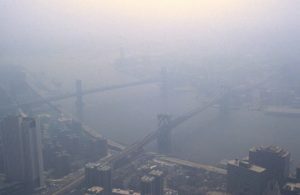 The study claims that in the United States there are about 150,000 new cases of diabetes per year due to air pollution and 350,000 deaths. Another startling study published in Environmental Research in March, 2018 by researchers at the University of Montana found hallmarks of beginning Alzheimer’s in the brain stems of infants less than a year old and also a high risk for suicide in youths in air polluted Mexico City. The researchers concluded that in areas of air pollution above the US standards, that Alzheimer’s disease begins in childhood and in another 20 years a large portion of the inhabitants in those places will be in various stages of Alzheimer’s, especially early onset Alzheimer’s. The World Health Organization (WHO) Claims that 92% of the world’s inhabitants live in areas with dangerous amounts of air pollution. If you or your loved one are in need of short or long-term rehabilitation and skilled nursing care you should try to find a facility that not only offers skilled care, but is located in an area that has a high rating for clean air like the Royal Suites Healthcare and Rehabilitation in Galloway Township, NJ. Galloway Township has been given a good clean air rating of 97.18% for New Jersey.